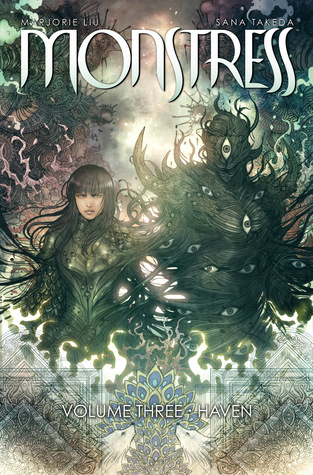 Image Description: the book-cover of the graphic-novel Monstress – Volume Three: Haven. The main focus of the cover is of Maika and the Elder God Zinn bound to her standing side by side facing the audience. Marjorie Liu is an attorney and NYT Bestselling author of over seventeen novels. Her comic book work includes X-23, Black Widow, Dark Wolverine, and Astonishing X-Men, for which she was nominated for a GLAAD Media Award for outstanding media images of the LGBTQIA+ community. She teaches a course on comic book writing at MIT and lives in Cambridge, MA. Sana Takeda is an illustrator and comic book artist who was born in Niigata and now resides in Tokyo, Japan. 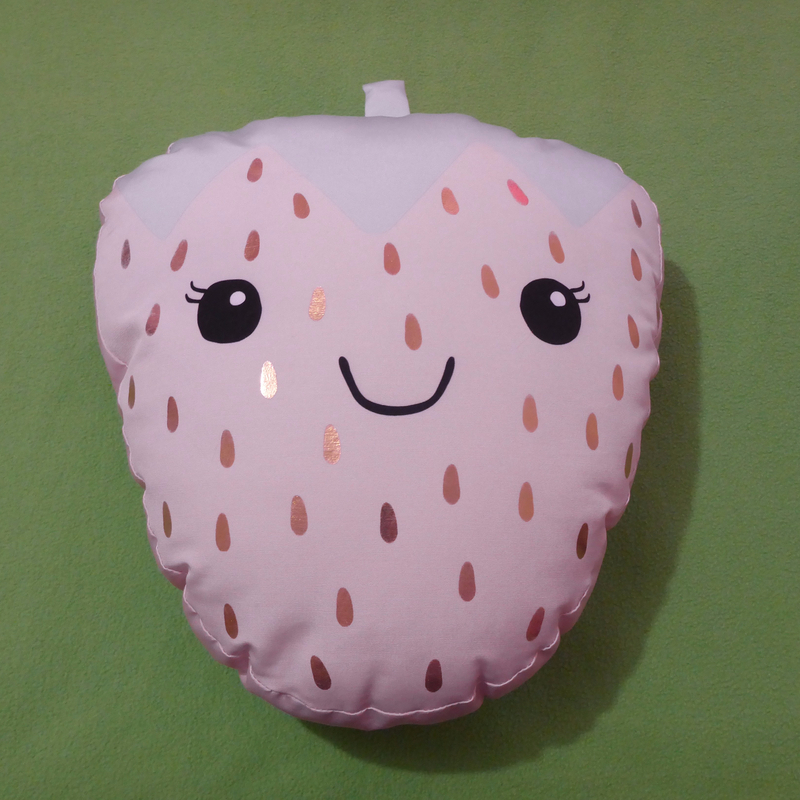 At the age of twenty, she started out as a 3D CGI designer for SEGA and became a freelance artist when she was twenty-five. She is still an artist, and has worked on such titles such as X-23 and Ms. Marvel for Marvel Comics, and is an illustrator for trading card games in Japan. Maika has spent most of her life learning how to fight, but how will she fare when the only way to save her life…is to make friends? Collects issues 13-18 of the Hugo Award and British Fantasy Award series. Yarr! Thar be spoilers ahead. Ye Have Been Warned. ~The Horrors of War: While I’ve mentioned previously that the creators of this series don’t shy away from graphic violence, War doesn’t just take place on the battlefield, but in the minds of the people. In this volume, the creators do some world-building in terms of civilian casualties. It turns out that The Arcanes don’t just have the humans to contend with. The various Courts also have their own conflicts, which often results in higher levels of civilian casualties (not that much different from reality when you think about it). The creators have such a small narrative space to work with and yet they excel at portraying the complex emotions people feel during conflicts such as these. The quiet desperation of refugee camps, the miscommunication between allies, and the chaos of retreating. ~The Plot Thickens: There is some plot development in this volume, unfortunately, it’s only small which is to be expected from a series with multiple plot-lines. Tuya, Maika’s childhood friend, is a Baroness of the Dusk Court and is currently negotiating with the Dawn court for an alliance. It makes for interesting plot development and conversation. Tuya is definitely the type to be “Silk Hiding Steel”, as she has no problems calling out a powerful Ancient (who is the head of the Dawn Count) for her past inaction and obvious political motives. ~Character Development – Maika and Tuya: It’s been hinted at but never explicitly stated that Maika and Tuya were romantically involved together (at some point – difficult to tell with all the dreams and flashbacks), however, in this volume it’s made pretty clear that they were together and that Maika has a lot of regret for how her relationship with Tuya ended(?). The context of their relationship isn’t clear (intimate lovers or just friends with benefits? ), however, I don’t mind that it’s unclear and I’m happy to wait for more information. Normally, this would bother me, but with this series, nothing is clear and everything is open to interpretation, so if anything the creators are being consistent. One thing is for sure is that it’s definitely going to upset Maika when she finds out that Tuya is becoming involved in an arranged marriage with Maika’s Aunt for political reasons. All in all, an intriguing addition to the series, and I’m looking forward to the next instalment.